The current state of the energy industry has led to a digital turning point for the oil and gas business. For an organization to not only grow—but to survive—developing a coherent digital strategy is imperative. These market conditions make collaboration amongst the oil and gas community more vital than ever before. The Best Practices for Oil & Gas conference has been developed as a platform for industry professionals to discuss their biggest challenges while unlocking the most innovative solutions. Business struggles are transformed into clearly articulated visions. Historical questions get answered and solved. And fueled by new ideas and success stories, the oil and gas community ignites. A collaboration between Eventful Conferences, ASUG and SAP, Best Practices for Oil & Gas is designed for all industry segments including upstream, midstream, downstream and oilfield services. The annual conference (Sept 17–19, 2018 | San Antonio, TX) brings together leaders, influencers, solution providers and more for an interactive event built around learning. 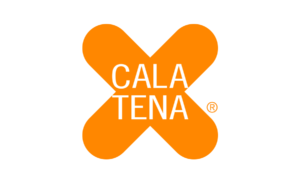 The Future is Digital – with CALATENA!